If you have recently cleaned out your storage unit, you may be left with a lot of items that can be easily tossed in the garbage. Instead of letting it all waste away in the landfill why not have those items recycled? Here in Mobile, we have access to many convenient recycling options. The City of Mobile has made it more convenient and much easier for you to recycle your trash. The City has added more drop off locations and has enabled a single stream sorting method. This means you are no longer required to sort your recyclables making it drop off a simple process. City's Western Administrative Complex across from the Mobile Museum of Art in Langan Park. Behind and to the North of the Police Headquarters off of Pinehill Drive. This road runs between Government Street and Airport Boulevard. The hours of operation are Monday through Friday 7 AM to 6 PM and Saturday and Sunday 7 AM to 4 PM. 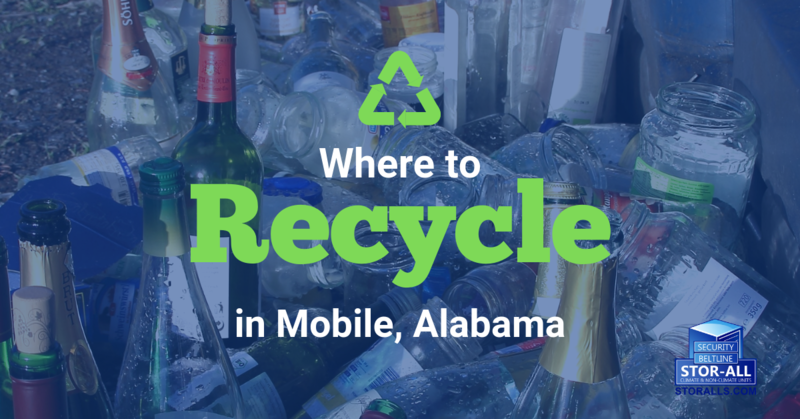 Operated by the Goodwill Easter Seals, the Mobile County Recycling Center was developed by the Mobile County Commission to help conserve and protect our coastal areas. The center accepts household recyclables and electronics. The Mobile County Recycling Center is located at 7450 Hitt Road in Mobile. It is open seven days a week 8:00 AM – 6:30 PM. Have the recycling company come to you by subscribing with Earth Resources curbside service. Pick up is available every day of the week meaning you can keep more trash out of the landfill and processed efficiently for reuse. Visit Earth Resources online or call 251-666-4482 to start service. This recycling facility is located in Theodore and will accept paper, plastic and other household items. They are located at 8663 Bellingrath Road and is open Monday through Friday 7:00 AM to 3:30 PM. If you have electronics to recycle then, ASM Recycling has you covered. Currently, ASM accepts PC towers, laptops, power supplies, servers, hard drives, circuit boards and cell phones. The facility also accepts cans, copper, brass and tin. The facility is located at 2751 McKinney Street in Mobile. Big Box stores such as Target, Best Buy, Staples, Office Depot and OfficeMax all offer recycling services. Drop off items include plastic, computers/electronics and glass. Check the store’s policy before bringing your items. Recycling your trash has never been easier thanks to more locations and a more straightforward process. You can make a difference in your community and help change the world by living a more litter-free lifestyle. If you have any questions about available storage space for household items, appliances, boats, or RVs, contact Stor-Alls today. 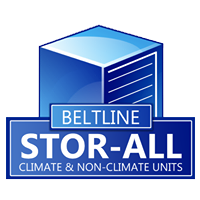 We have units from small to large, that are climate controlled. You may only need us for a few months, or you may find that our units fit your long-term plans. Give us a call or come see us, and protect your treasures!